This Louis XV Style corner cabinet (Cupboard) is veneered with panels cut from a late seventeenth-century Chinese lacquer screen. This colorful lacquer with its incised decorations is usually called Coromandel lacquer after the name of the English East India Company's trading post on the Coromandel Coast of India. 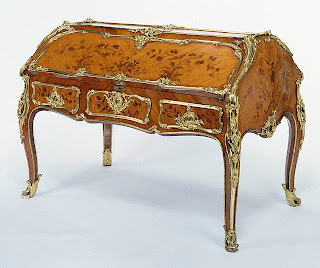 Van Risenburgh frequently used such pieces of lacquer, supplied to him by various marchands-merciers, and he cleverly hid the edge of the panels behind scrolling gilt-bronze mounts. 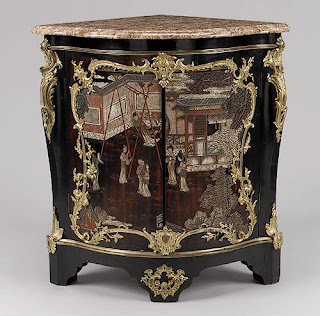 Bernard van Risenburgh specialized in furniture decorated with panels of Japanese lacquer, which he first supplied to the French queen, Marie Leszczinska, in 1737. 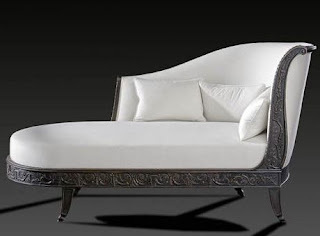 He was also celebrated for his furniture veneered with floral marquetry, usually made from kingwood and tulipwood. At the end of his career, he supplied the nobility with the novel innovation of furniture mounted with Sèvres porcelain plaques. BVRB's pieces can also be recognized by their gilt bronze mounts, which he designed himself. The novel forms of these mounts appear only on his works and help to distinguish his furniture from that of other cabinetmakers.